Wrongful death claims are personal injury lawsuits made when a person dies due to negligence or the intentional actions of another individual. Legally a deceased person cannot file a lawsuit of any kind, which is why wrongful death claims allow the person’s estate and/or family to file on their behalf in order to receive a monetary amount for any wrongdoing that occurred. When a person dies due to medical malpractice. These are just a few of the main examples, as almost any kind of personal injury situation that ends up in death can be considered in these suits. States can vary on who exactly is allowed to file a wrongful death suit but almost all of them allow these to be filed by any immediate family members. Most courts typically will allow a spouse, parent, or an adult child to all be able to file on their behalf. Depending on the states it can get a little more complicated once the family members relationships get more distant such as grandparents and/or uncles and aunts. Regardless, no matter which family member files the wrongful death suit they will be the only one allowed to do so as the courts only allow one lawsuit to be filed on behalf of the deceased. 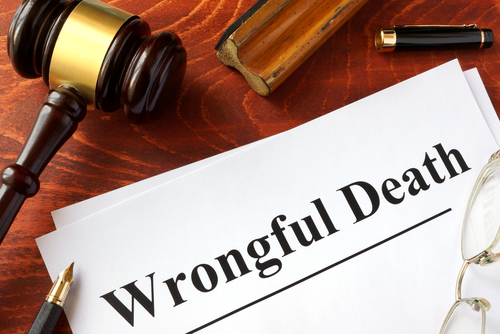 One factor that could overrule any surviving family member’s ability to file a wrongful death suit is if the deceased had left a will. In this case, the court would appoint an executor to the estate who would then be the sole person with the ability to file the lawsuit, and in some states, this is the only person who can file a suit of this kind at all. It is important to note that some states have a statute of limitations on when a wrongful death suit must be filed. Knowing this time frame as well as the different rules that apply to your state is very important when dealing with matters such as these, which is why having a qualified attorney assist you can help make a difficult time more manageable. Now is the time to reach out to an experienced lawyer that can help. Call Team Law today to schedule a consultation or fill out our convenient online form.